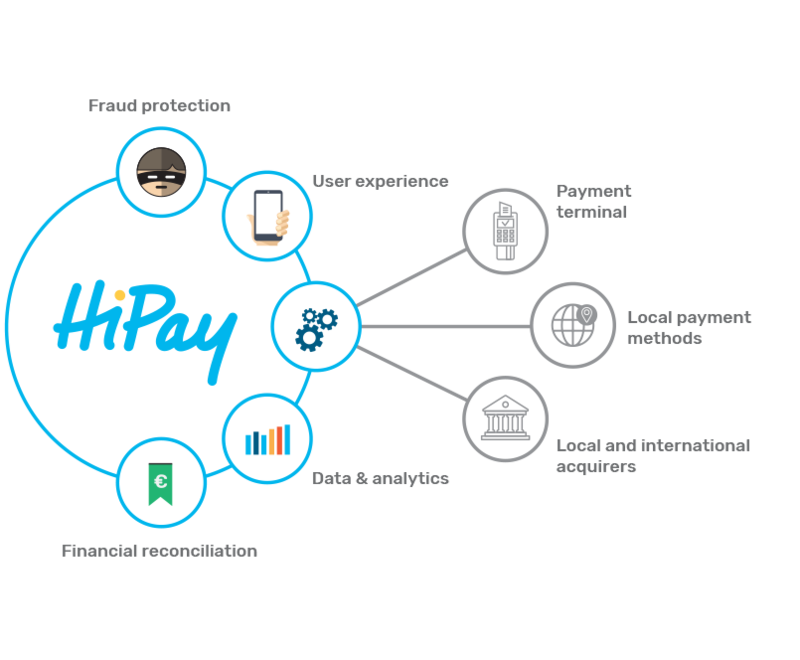 HiPay IntelligenceAnalytical tools for exploring your data and analyzing your online and instore activity. Paying what they want, How they want. We work with our customers to increase their revenue by improving their success rate, limiting fraud-related risks, and by making their globalisation strategy easier. Our technology, combined with our added-value services and 360-degree data analysis helps our customers to grow their business and see greater returns. Our advanced solution meets the needs of all areas related to payments: transaction processing, risk management, relationship management with banks and acquirers, data and analytics, responsive design for multi-device support, financial reconciliation and international expansion: All with a single contract and integration. 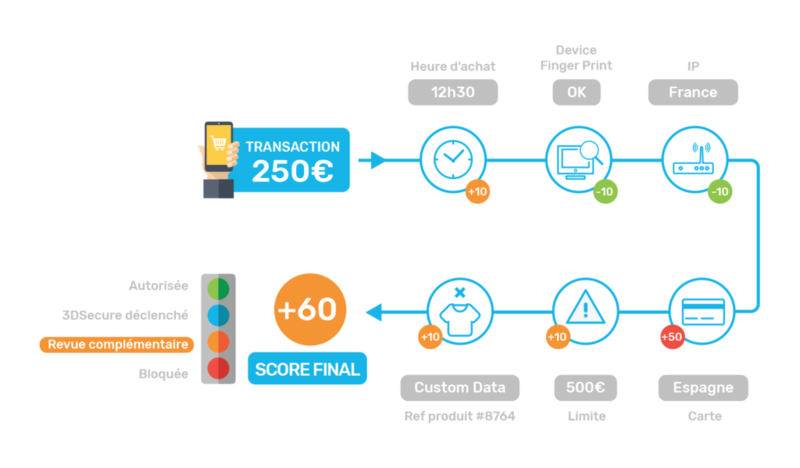 Customizable scoring combines payment rules, business rules, and customer data with machine learning and Dynamic 3D Secure to grow revenue, protect against fraud, and avoid chargebacks. Fully integrated fraud protection with prebuilt rules to get you up and running quickly. Fine-grained control allows you to build custom rules using your customer data and business rules for more advanced risk management. Using machine learning and risk scoring, our tool assigns each transaction a risk score. The rating is determined by the analysis of a large number of combined parameters. Our Risk Management team will be with you all the way to ensure that the most appropriate rules and outcomes for your business are in place. Adjust your fraud strategy in seconds thanks to our fully integrated anti-fraud module. With a single integration, access a wide range of local and international payment methods so your customers can make purchases in their preferred currency and payment methods. Over 150 currencies and 220 payment methods are available. See consolidated views of your operations to quickly review all key performance indicators. 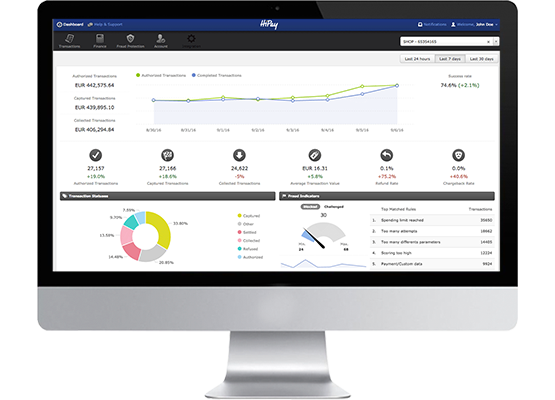 Quickly and easily access all of your data in just a few clicks from a single dashboard: real-time monitoring of your activity, drill down to view transaction details, fraud indicators, conversion rates, payment method usage and more. Our payment pages are fully customizable to reflect your business and branding with out-of-the-box support for 10 languages and responsive design for perfect display on all devices. We can host your payment pages at our secure data center. With this option, you can benefit from a single point of contact, customizable payment pages, and PCI-DSS security compliance, all without any additional requirements on your side. 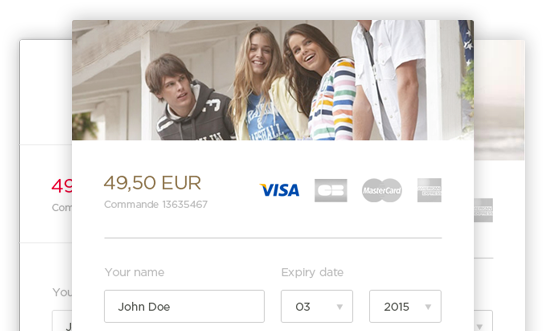 Drop in our prebuilt iFrame payment form into your website to get up and running quickly. Choose the Hosted Fields for an easy and secured integration. Smooth payments and refunds are key to any online retailer’s operations. For luxury clothing brand The Kooples, selecting HiPay achieved this and more, resulting in higher NPS and putting customer satisfaction at the heart of everything they do.